Changes are on the horizon for taxpayers; from 6 April 2016 a new Personal Savings Allowance (PSA) will be introduced. This significant adjustment to the current savings rules means that for basic rate (20%) taxpayers, up to £1,000 of income from savings will be tax-free (£500 for 40% taxpayers and nil for 45% taxpayers). As it currently stands, basic rate taxpayers’ income from savings is currently taxed at 20% therefore if you were to be paid £100 in interest, your bank or building society would deduct £20 for the taxman. From April, this will change so that up to £1,000 in interest accrued will be tax-free. The changes to the Personal Savings Allowance don’t simply apply to savings accounts. 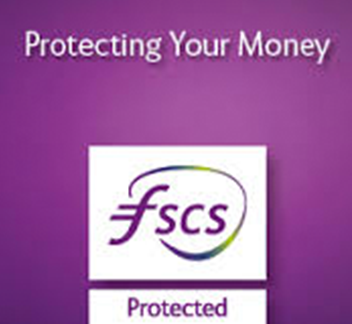 Any bank/building society accounts that pay interest are eligible for this tax relief measure. Be aware though, that the £1,000 tax-free limit applies across all your accounts, not just those with one institution. So what will savers have to do to ensure they qualify for their PSA? Helpfully, absolutely nothing! HMRC will recognise that any income up to the limit does not need to be taxed. If the interest paid to an individual is over their Personal Savings Allowance, then the HMRC will automatically deduct any tax owed. However for those who submit a self-assessment tax form you will have to continue to do so. So does the PSA signal the death knell for ISAs? Since they were launched in April 1999, ISAs have always been the most tax efficient way to save, so should savers continue with their ISAs when they can receive up to £1,000 of interest tax free with other savings accounts? The general rule of thumb is that ISAs should be included in any well-rounded savings portfolio. They offer savers a high annual subscription limit (£15,240 for 2015/16) with varying levels of risk, making them attractive to first-time investors and the more experienced alike. While the PSA seems generous, if interest levels were to increase, accruing interest on your savings would become more likely and could push you over the tax-free bracket. Also keep in mind that personal tax rates can vary as governments change. ISAs have been around for 17 years and are unlikely to go anywhere, so you could argue that ISAs are a sound way to hedge your bets. With such a range of savings options on offer to individuals, choice seems to be their greatest asset.